The Political Ticker blog died of old age on Oct. 13, 2014, after eight years of faithful service to CNN's readers. The Ticker began quietly in October 2006, fueled by a realization that a blog could capture and influence the political conversation. It hit 1 million page views during CNN’s 2006 election coverage a month later, and in its heyday became one of the most trafficked forums in political media. Two sources inside Mitt Romney's inner circle tell CNN that while Romney isn't planning a presidential bid, he's listening to a lot of people who want him to get in the race - although he remains skeptical himself. "A lot of people in Romneyland are rooting for him to get in," says one source. "He's not one of them." Another source close to Romney puts it this way: "I wouldn't bet on it, but I wouldn't bet either." The key, these sources say, is that Romney wants to see a Republican candidate who can win the White House. So there's a willingness to wait to see who will run for the GOP nomination. While these sources say that, as of today, it's not likely Romney would run, it can't be ruled out entirely - and if the early seeding were to produce a weak field, Romney might be in a position to be a late entrant. Sen. John McCain slammed President Barack Obama on Monday over his comments that U.S. intelligence underestimated ISIS. McCain countered Obama's assertions made on CBS' "60 Minutes," saying that ISIS' expansion in Syria and Iraq was tied to the President's decision not to leave a residual U.S. military force in Iraq and his refusal to arm moderate Syrian rebels last year despite urgings from his national security advisers. "We predicted this and watched it," McCain said on CNN's "New Day." "It was like watching a train wreck and warning every step of the way that this was happening." Republicans who want to taint Hillary Clinton are going to lengths to link the former secretary of state with President Barack Obama and his sagging poll numbers. Throughout the party's infrastructure, Republicans say that linking Clinton with Obama, especially labeling her possible 2016 campaign as "Obama's Third Term," is the most potent attack. America Rising, an anti-Clinton super PAC that has looked to define the former first lady for the better part of a year, will push out a series of talking points giving Clinton the third-term label, and the group plans to fundraise off the push. 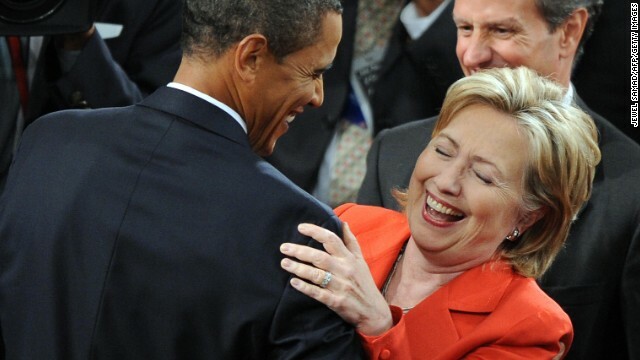 "Hillary Clinton has a Barack Obama problem," reads a lengthy research document that will go out to GOP pundits, strategists, conservative organizations and media members Tuesday. "No matter how many of her advisors whisper to reporters that she's different from Barack Obama, Americans still know who she is: Barack Obama Part Deux." 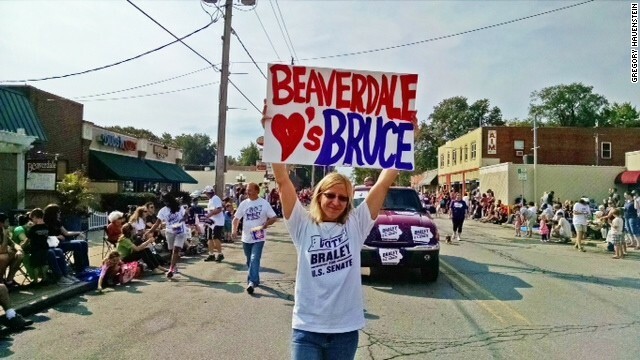 For a small band of supercharged Democratic organizers, the pleasant Des Moines neighborhood of Beaverdale goes by another name: Obamadale. The moniker was bestowed three years ago by a motley crew of Democrats who first met as strangers over martinis at a local restaurant in the early days of President Obama's re-election bid, brought together under the aegis of the "neighborhood team" model that defined the campaign's bottom-up volunteer structure. Led by Kimberley Boggus, a bubbly 33-year-old nursing student, and Sam Reno, a 42-year-old no-nonsense construction crew supervisor, the platoon of volunteers eventually managed to turn out more than 700 Democrats to their local caucus precinct on a chilly January night in 2012 - and that was for an uncontested race overwhelmingly won by Obama. By November, in another show of force, "we turned out 87 percent of the Democratic voters in Beaverdale," Boggus recalled with evident pride. After the campaign, Obama's behemoth political organization became Organizing For America (OFA), but the group has struggled to maintain a coherent identity outside the president's campaigns. New Jersey Gov. 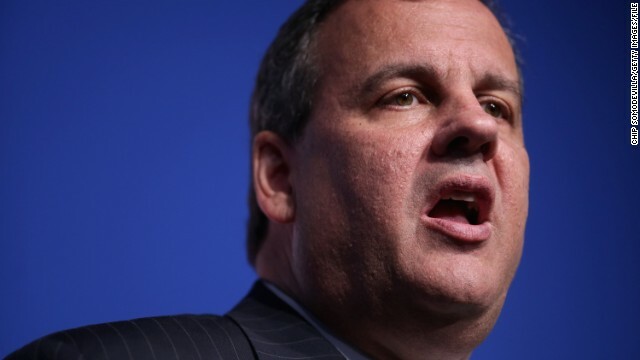 Chris Christie had harsh words Thursday for the committee investigating allegations of abuse of power and the orchestrated lane closures at the George Washington Bridge, known to many as the "Bridgegate" scandal. "It's absolutely not true and it is a completely, a completely partisan act to be doing the leaking that they are doing," he said in response to a reporter's question about claims that his lawyers would not hand over certain documents, citing executive privilege. 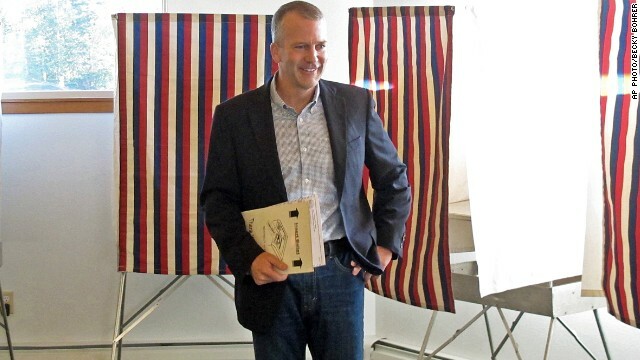 The governor lambasted Democratic New Jersey Assemblyman John Wisniewski, co-chairman of the Select Committee on Investigation, saying he wanted to keep his name in the newspapers and his face on TV. "We have fully cooperated, absolutely fully cooperated with them, and I am really growing tired of him," Christie said at a news conference in Trenton, New Jersey. The National Rifle Association will weigh in on three of this year's key Senate races with a multimillion dollar ad buy beginning Wednesday. The NRA effort is aimed at boosting Republican Senate challengers in Arkansas, Colorado and North Carolina - the outcomes of which could likely determine which party controls the chamber. The group's campaign is expected to top $4 million in these states, spokesman Andrew Arulanandam confirmed to CNN. It will spend $1.4 million to boost North Carolina House Speaker Thom Tillis, who is running against incumbent Democrat Sen. Kay Hagan. "Our Second Amendment rights are under attack by the Obama Administration, and we need leaders like Thom Tillis in the Senate to fight back," states the ad. 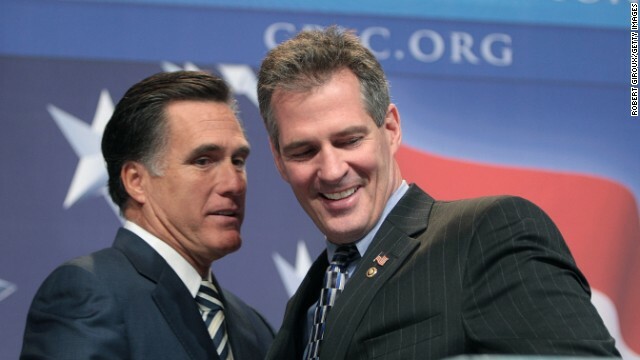 A new political ad against Republican Scott Brown could easily have been an attack ad against Mitt Romney in 2012. One of the toughest spots to hit Brown this cycle, the 30-second ad paints the former senator from Massachusetts as a "yes man" to a large corporation that has outsourced jobs. While the ad never mentions Romney, who campaigned for Brown this summer, the outsourcing attack was a key strategy used by Democrats two years ago when Romney, a former private equity executive, was running for president. Clinton in Iowa: Fresh start or deja vu? But there was a moment in the afternoon when it seemed like not much had. Roughly 200 credentialed media were gathered in a far corner of the Indianola Balloon Field, the grassy expanse where Sen. Tom Harkin was convening his 37th and final Steak Fry, an annual fundraiser that doubles as a point of entry for ambitious Democrats curious about the Iowa caucuses. After a 90-minute wait, the press scrum - scribblers and photographers alike - were herded like cattle through a series of gates and escorted up to a hot smoking grill, waiting to capture the same image: a staged shot of Bill and Hillary Clinton, fresh out of their motorcade, ritualistically flipping steaks with Harkin. The Clintons ignored the half-hearted shouted questions from reporters - "Mr. President, do you eat meat?" - with practiced ease. They were two football fields away from the nearest voter. Mechanical, distant, heavy-handed: The afternoon spectacle felt a lot like Hillary's 2008 caucus campaign, a succession of errors that crumbled under the weight of a feuding top-heavy staff and the candidate's inability to connect with her party's grassroots. And then the head fake - and something different. Read Peter Hamby's report from Indianola in full.